As the crop season draws to a close in England, August has been another busy month for crop circles with 18 formations recorded so far, mostly in the county of Wiltshire. 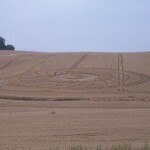 Two new Amazing Crop Circles 23rd & 20th Aug 2012 at Oxleaze Copse and Woodborough Hill UK ! 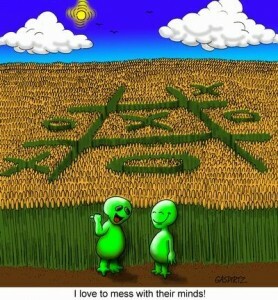 Photo: An example of a crop circle. SOURCE: Public Domain Clip Art. SEATTLE (AP) — Mysterious crop circles have appeared in an eastern Washington wheat field — not far from the nation’s largest hydropower producer — but area farmers preparing for the summer’s harvest find the distraction more amusing than alarming. The Russians seem to have broken the code of the crop circles . . . and they ain’t just pretty pictures in the wheat fields!. 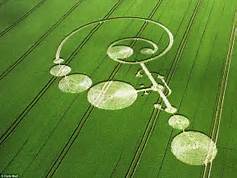 Crop Circles Messages Harvested? – Alien Contact? Are these Return messages in answer to Carl Sagan’s 1974 message sent into space? Are we missing the boat! Could Dec. 21, 2012 actually arrive on May 20, 2012? Crop Circle Decoded: Return of the Maya’s Quetzalcoatl on May 20, 2012? A recently decoded crop circle predicts the return of the Mayan deity, Quetzalcoatl on May 20, 2012. East Kennett July 22, 2010 10 pyramids with 5 levels. Middle shows an eclipse and astrological events, transit of Venus, annular solar eclipse visible in the Pacific on May 20th, 2012. On may 20, the Maya sun Kinich Ahau aligns with the Tsab (the sun king will align with the Pleiades <Tsab to the Maya>).